Questions about Kichler Lighting 8880TZ? The simplicity of this flush mount fixture makes it an easy match for any decor. 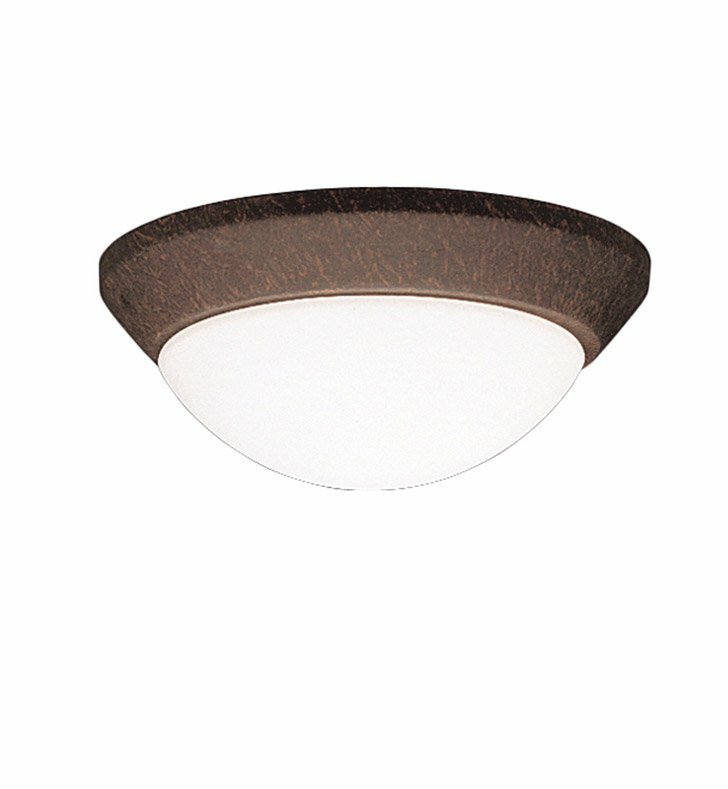 It features a 10" diameter, Tannery Bronze finish, Satin-etched cased opal twist-on glass, and 1-light design that uses a 75-watt (max.) bulb. It is U.L. listed for damp applications. Dimensions: H 4 1/4" x W 10"